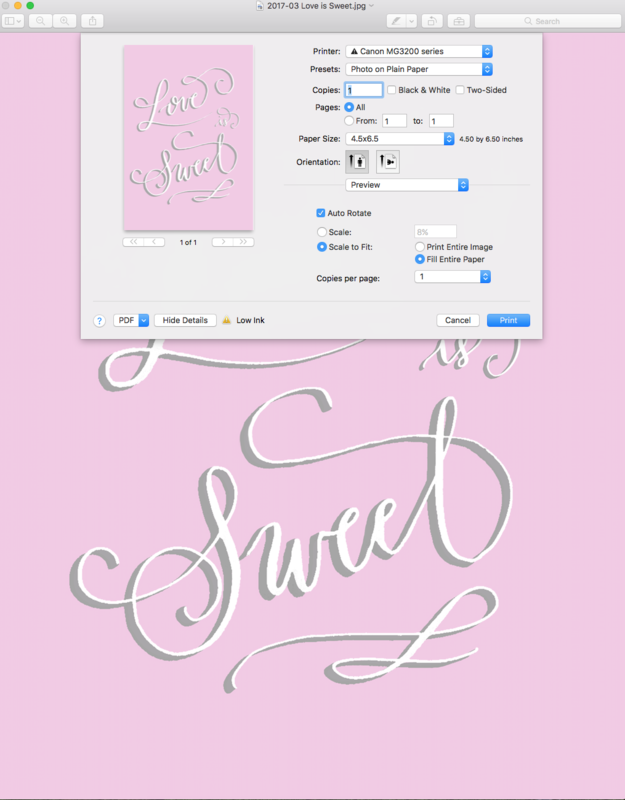 Printable files are an affordable, super fast way to get some art for your wedding, birthday parties, anniversary celebrations, holidays and also art that you can print at home, frame and hang it as decor on your walls. These days you can buy online and print at home a greeting card, a dessert table sign or even an alternative guestbook for your special celebration avoiding the shipping fees or the wait! Sounds great, right? But printing at home is not always easy… I get that. So, today I want to share a quick tip to help you get a better quality print for the printables that you can get at my etsy shop. -One of the things that makes the most professional look on an art-print is to having the design to reach to the edges of the paper, leaving no white margins. When you’re going to print, choose the option “Scale to fit” and then “Fill the Entire Paper“. Following this simple step will make the whole design to occupy the entire page and there will be no white edges to trim later! Now, be sure to stay tuned, I’ll be posting more useful tips like this to bring the best out of your home printer soon! 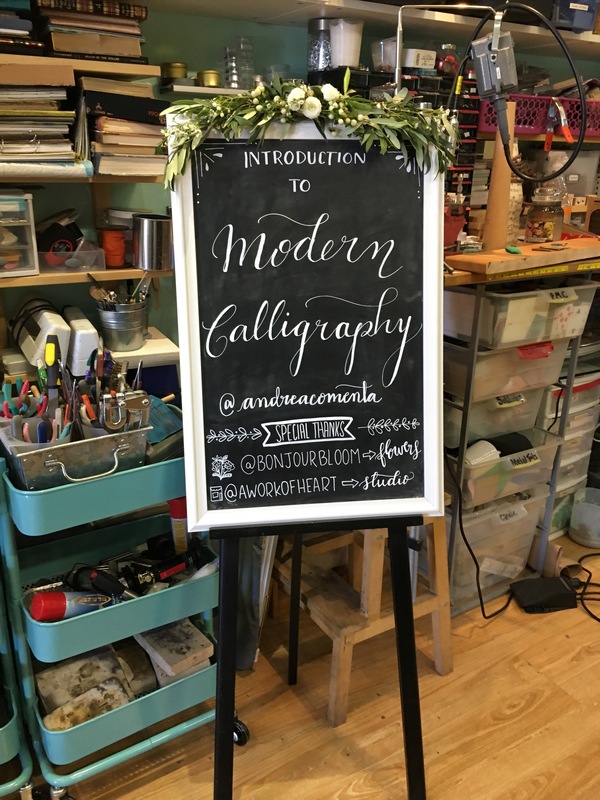 Today I wanted to share some pics of the Modern Calligraphy workshop that I offered at A Work Of Heart Studio in the charming Willow Glen neighborhood in San Jose, CA. 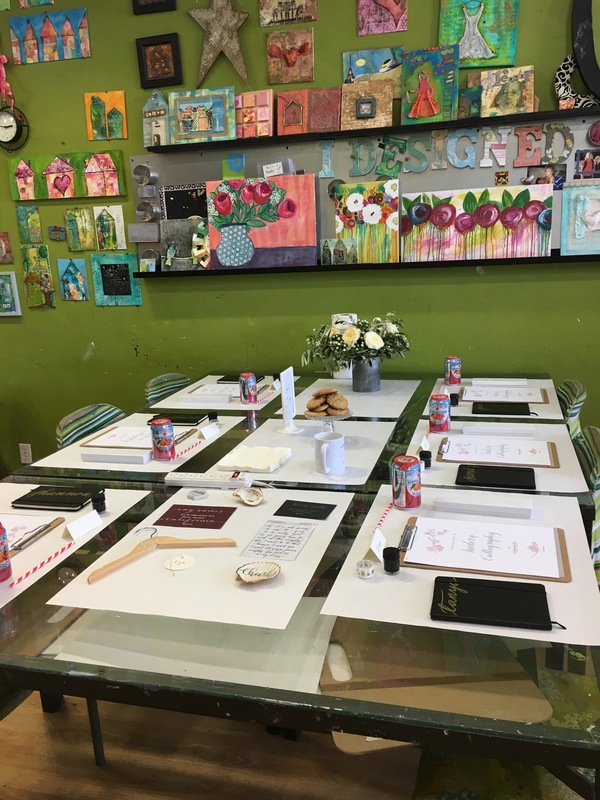 For this opportunity, Bonjour Bloom prepared a beautiful flower arrangement for the chalkboard sign that I did and another one for the table. 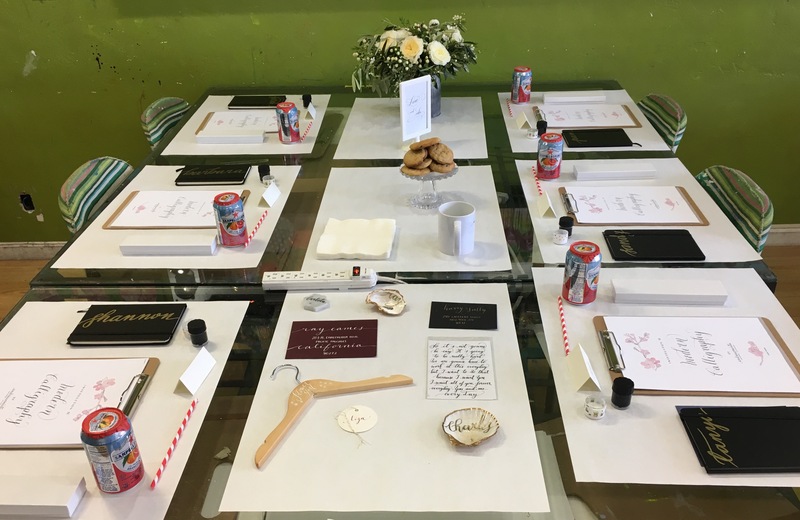 The workshop lasted 2 hours and it included a Beginner Calligraphy Kit and some extra goodies. The beginner calligraphy kit includes 2 (two) different kind of nibs, a straight pen holder, 2 (two) jars of professional white and black calligraphy inks and -most important- a lesson handout with useful information about how to prepare your nibs, hold your penholder, clean and maintain your tools, alphabet and numbers sample and more! 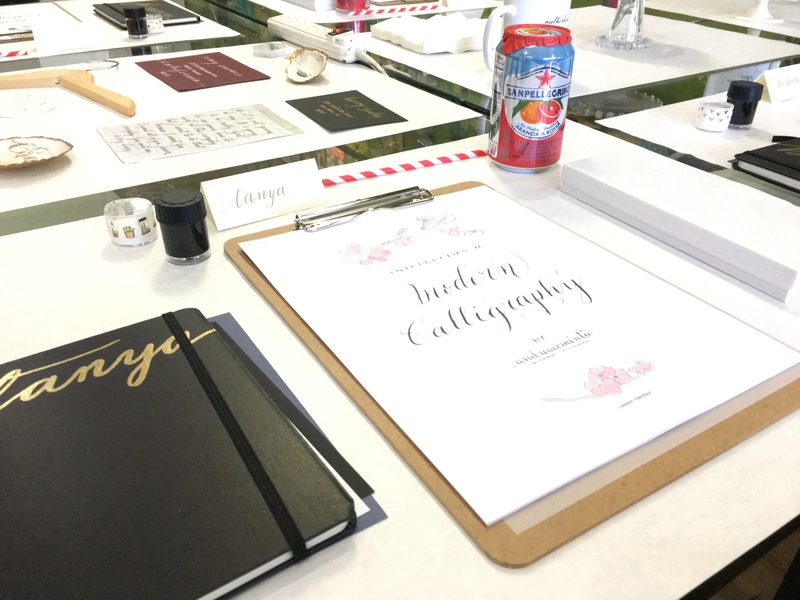 I also added a list of my favorite tools like brands of papers, nibs, inks in the handout, something that’s so useful to continue the practice on your own calligraphy journey. In this opportunity, I gave the students some personalized notebooks that I prepared with their names. I love to be in those little details! The students and I had a lot of fun! 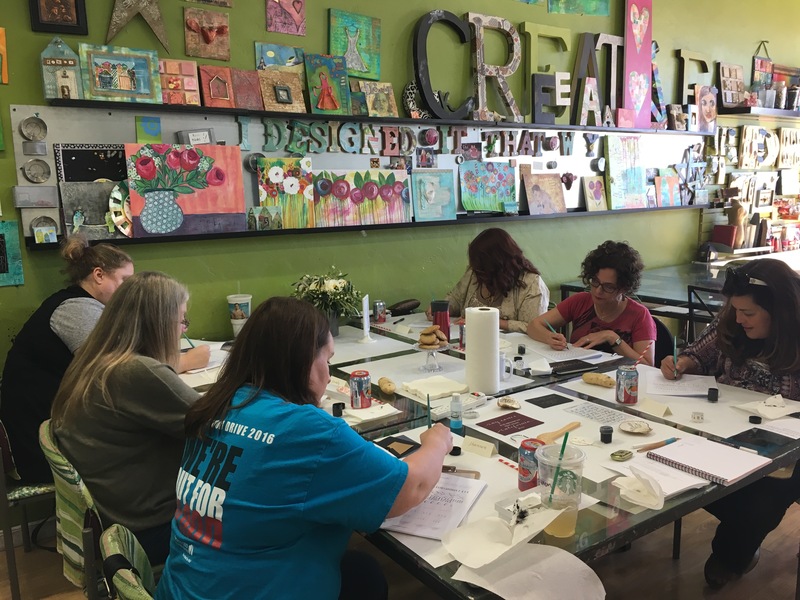 I’ve added a new date for the workshop! 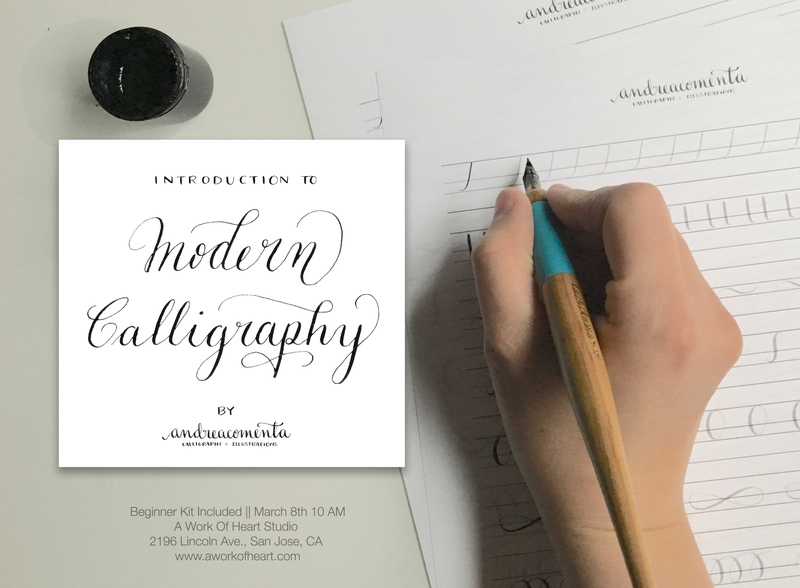 So come join the fun and learn the beautiful art of Modern Calligraphy on April 2nd or April 30th at A Work Of Heart in San Jose, CA. 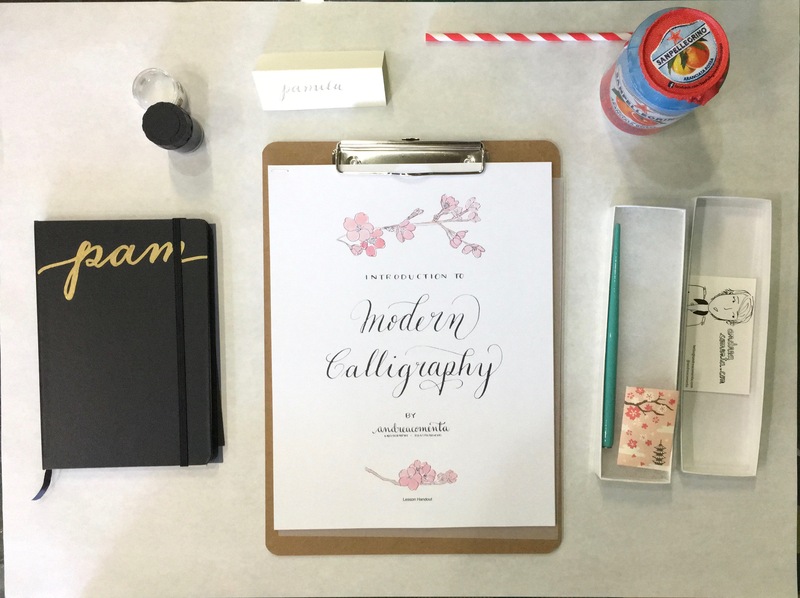 Quick post here just to share with you the video from last year’s Styled Pop Up Series for which I did some of my favorite calligraphy pieces from 2016! Gorgeous inspiration for winery weddings!